One big difference can be summed up in one word: intimacy. River cruises tend to be muchsmaller (190 max vs. up to 6,200 on the largest ocean cruises), and as a result, you’re much more likely to be interacting with other passengers and crew members. For people who are worried about sea sickness this is less likely on a River Cruise since you are sailing in shallow waters. You should take into consideration that river cruises include fewer on-board amenities than ocean cruises. 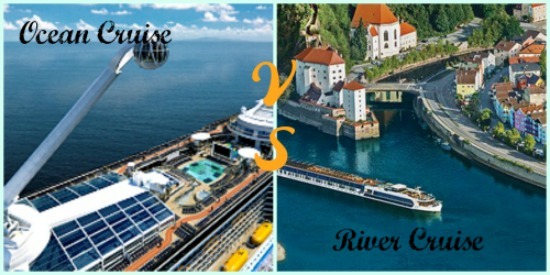 River ships are floating hotels whereas, Cruises are floating resorts with casinos and glitzy Broadway shows. River Cruisers excursions can involve theme trips to wineries, bicycling, gardeners, hikers. Some include visits to homes to have dinner and get to know the people and different cultures of that country. 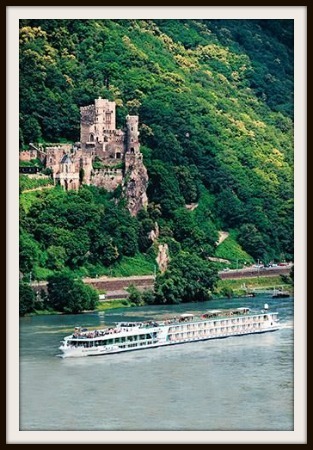 That smaller scale translates to all areas of the river cruise. You dine on a regular schedule at tables with other passengers (wine is included in the price of the cruise). 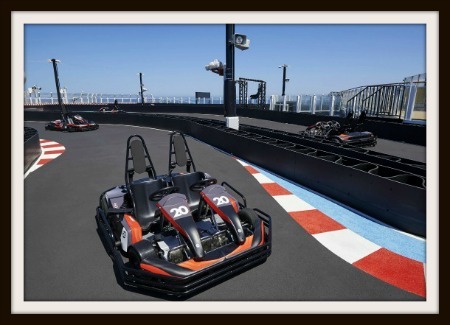 Instead of 50 different things to do on board, amenities tend to be more modest with river cruises — think libraries, a workout room, cultural programs, and free WI-FI vs. kids’ playrooms, a skydiving simulator and car race tracks. There tend to be fewer kids on river cruises, making them popular for couples seeking quiet and relaxed time together. Wonderful for honeymooners and that Romantic Getaway. Imagine waking up to a passing Castle or a beautiful new village from your floating vista. Almost every day you are at a new port with river cruises, often for walking and bicycle tours (some with e-bikes that do the peddling for you) through quaint towns with little tourist traffic, and you’re always in view of land. With ocean cruises, you can go days without seeing land, and ports of call and excursions tend to be more exotic and high-adventure. Because of their larger size, ocean cruises offer plenty of options for many ages, from young kids to the older generation, and can accommodate a wide variety of special health needs. For this reason, they tend to make the best option for multi-generational family gatherings that include young children. For the traveler loves adventure, ocean cruises provide a wide variety of activities on board, as well as exotic and more daring day excursions. When you’re getting ready to plan your next on-the-water trip, here are a few questions to consider: How many people are traveling? What are their ages?